The passport of Grenada has received another significant boost to its ranking in Arton Capital’s Passport Index, following the visa waiver with China. This comes only days after Grenada’s visa waiver with Europe’s Schengen zone, which came in force on May 28, 2015. As a result, Grenada has added one point to a total visa-free score of 102 in Arton’s Passport Index placing the country on 34th place. 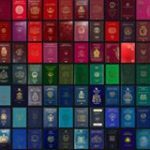 The Passport Index is the world’s first online interactive tool, which collects, displays, and ranks the utility of passports around the world. Visitors of passportindex.org can discover the world’s passports on a map, by country name, by Passport Power Rank and even by the color of their cover. The ranking is based on points accumulated for each country that the passport holder can travel visa-free. The country list is based on the 193 UN member countries and 6 territories for a total of 199. The territories annexed to other countries are excluded. Furthermore, Grenada has scored 75 points in the Arton Index, the industry benchmark, which evaluates and ranks investor programs for residence and citizenship from an investor’s point of view. The Arton Index is sensitive not only to the total number of visa-free countries but also to which countries one can visit without a visa. In addition to the Passport Index, Arton has created numerous other interactive tools and platforms. The company also curates the Global Citizen Forum – the industry’s most innovative event, which brings together government representatives, global business leaders, high net worth individuals, and philanthropists to exchange on empowering global citizenship.